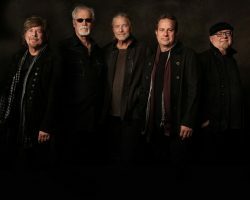 In an age where new bands come and go, Firefall has enjoyed a career that spans more than forty years and shows no sign of slowing down. Firefall’s commercial success includes three Gold albums, two Platinum albums and eleven chart-topping singles. The band’s biggest hit, “You Are the Woman” has been played on commercial radio more than 7,000,000 times and has also appeared in many movies and television shows. Livermore native, Meredith McHenry sings effortlessly through selections by artists varying from Etta James and Ella Fitzgerald to TOOL and The Weeknd, Meredith and her network of truly talented local musicians have been entertaining audiences all over the Bay Area for 8+ years. Meredith and friends are known for their ability to recreate both well known classics, under the radar gems and original music with their unique stylistic blend of jazz, rock, folk, country, and pop. This year we are offering two tiers of tickets to our Summer Concert Series events, the Reserve Patio and the Lawn tickets. Tickets are available for purchase on our online webstore or by calling our tasting room at 925-243-9040. Each Reserve Patio ticket will grant one person’s entry into the concert with a guaranteed seat at a table on our patio. The Reserve Patio tickets include a reserved seat at a table for the show, a pre-show champagne reception and hors d’oeurves with David, Darcie, and band members, a Darcie Kent lanyard, and a Darcie Kent GoVino glass. Darcie Kent Vineyards is also offering tickets for general admission lawn seating. Each Lawn ticket will grant one person’s entry into the concert. Lawn tickets will require you bring your own lawn chairs and/or blankets to set up on the event lawn; tables and chairs will not be provided. Darice Kent Vineyards is excited to have partnered with local Livermore restaurant POSADA to provide food for sale at all four of our concerts this year. Chef Eduardo and his team created a concert menu with delicious items that will be available for purchase; and as a special treat, we will be serving Posada’s famous Sangritas at all of the concerts this year! As well as offering Posada’s sangritas for sale, we will have a selection of Darcie Kent Vineyards wines available for sale by the glass or bottle. As always, we cannot allow guests to bring in their own alcoholic beverages due to licensing restrictions. We thank you in advance for your cooperation on this matter.